Union Cabinet approves additional 2 percent Dearness Allowance for Central Government Employees and Dearness Relief to pensioners with effect from 1st July 2018. Dearness Allowance payable to Central Government employees shall be enhanced from the existing rate of 7% to 9% of the basic pay with effect from 1st July, 2018. Transport Allowance, Dearness Allowance and Total Salary will also change based on the 9 percent dearness allowance. 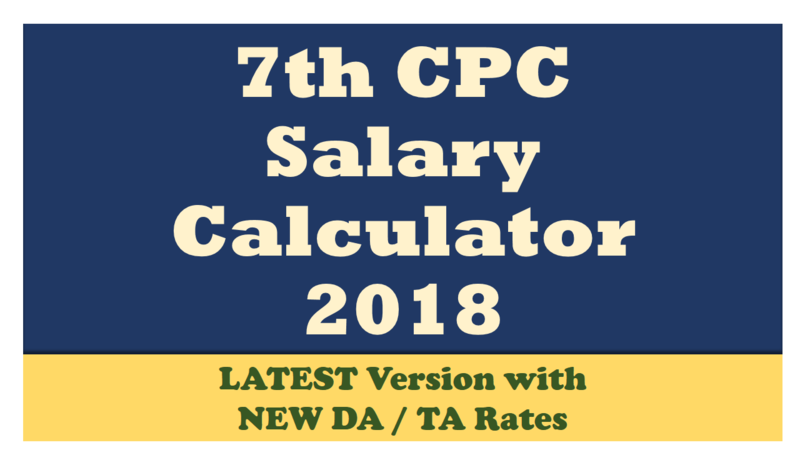 Check the updated 7th CPC Salary Calculator from July 2018 for Revised Pay & Allowances.